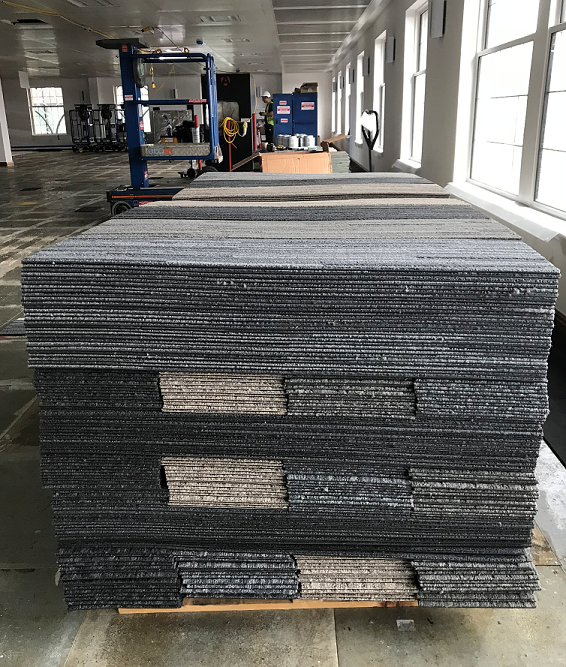 Teachers and pupils at Ferncumbe C of E Primary School in Hatton Green, Warwick thanked staff at Overbury for supplying and fitting new carpet tiles throughout the school building. (L-R) Ian Bothamley of Overbury with daughters Holly and Sophie, together with Sally Morris, Headteacher of Ferncumbe C of E Primary School. The last time new carpet was laid at the school, Tony Blair was prime minister, the National Minimum Wage had recently been introduced and the country was gearing up for millennium celebrations. Overbury assigned four members of its team to replace the school’s old carpet. The team laid 1,800 sq ft of new carpet tiles across three classrooms, two additional rooms and main corridor at no cost. 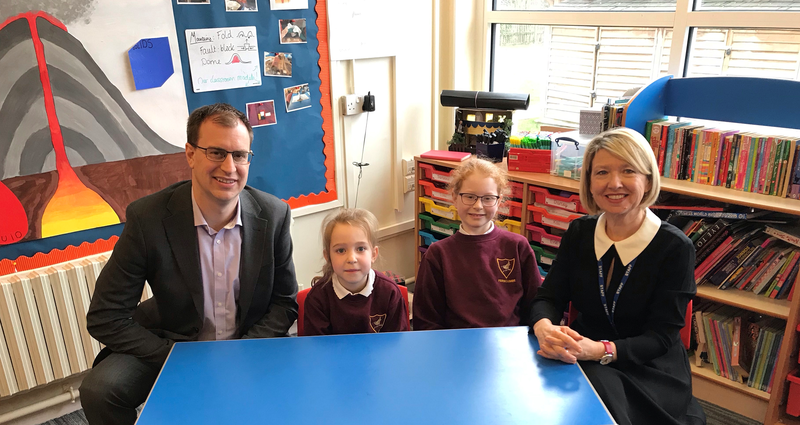 The project was led by Ian Bothamley, contracts manager at Overbury, whose two children, Sophie aged 8 and Holly aged 5, attend Ferncumbe Primary. “Overbury was appointed to manage the office fit out of a nearby building which had been recently refurbished by the landlord in order to let the space. The carpet was brand new but as the occupier wanted to fit a replacement, it was deemed to be surplus to requirements," said Bothamley. Ferncumbe Primary is a small church school that is proud of its caring and nurturing family ethos. The school regularly sits in the top 20% of the 224 primary schools across the region for key stage 1 and 2 progress measures in reading, writing and mathematics. Over the last five years, Overbury’s Midlands-based team has raised in excess of £20,000 for good causes including Birmingham Children’s Hospital and Acorns Children’s Hospice. The company recently hosted more than 250 guests from the property sector as part of an annual charity music night that raised £3,500 for Solihull Young Carers. Some of the 1,800 sq ft of new carpet tiles donated to Ferncumbe Primary.